Menssana Research, Inc. is the leading developer of advanced new breath tests for detection of disease. Early detection of diseases can often bring huge benefits: some cancers can be completely eradicated if they are detected early and treated promptly. But early detection often requires an invasive test, which comes at a price. A biopsy may be painful and x-rays are potentially harmful. And most invasive tests are expensive. The challenge to modern medicine is to develop non-invasive tests which can detect diseases without causing pain or damage to the body, and cost less. The founder and chief executive officer of Menssana Research, Inc, is Michael Phillips MD, FACP. He is also Professor of Clinical Medicine at New York Medical Colleg. Breath testing is probably the least invasive of all diagnostic tests. Even the very elderly and the very ill can generally donate a breath sample without inconvenience. But chemical analysis of breath is technically very difficult, which is why breath testing has played only a minor role in medical diagnosis until recently. Technical advances in the laboratories of Menssana Research have established an exciting new role for breath testing in early detection of disease. Scientists have developed a portable breath collection apparatus (BCA) which can collect breath samples virtually anywhere, for highly sensitive laboratory analysis. The BCA is being used in clinical research studies in hospitals in the USA and Europe, and has even collected breath samples in a USAF air force transport jet at high altitude. 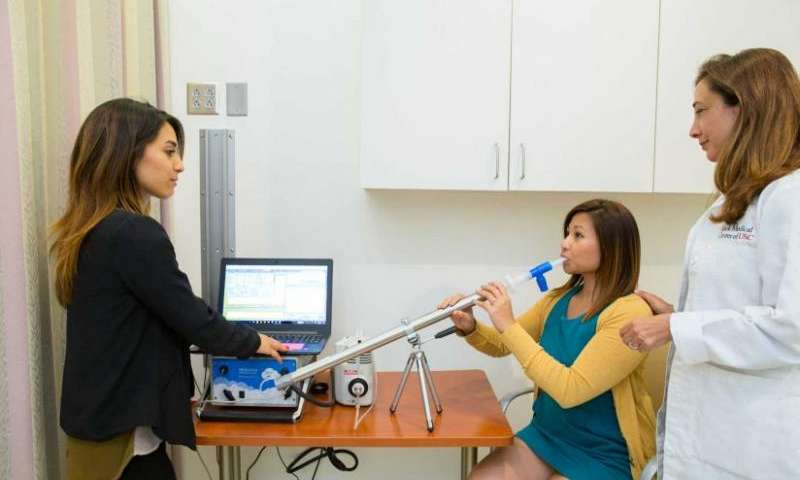 More recently, scientists have developed a point-of-care breath-testing system, BreathLinkTM, which collects concentrates and analyzes a breath sample within minutes, and then uploads the results to the lab via the Internet. With BreathLinkTM, a breath sample can be collected in Mumbai or Manila, and the results appear in the lab in Newark, NJ five minutes later. BreathLinkTM will soon deliver the test results to the patient and the physician within minutes. Scientists are now performing clinical studies with the BCA and with BreathLinkTM, mostly funded by the National Institutes of Health and BARDA, to evaluate breath testing in several diseases including lung cancer, breast cancer, heart transplant rejection, radiation exposure, and pulmonary tuberculosis. There is a world-wide epidemic of pulmonary tuberculosis (lat. Phthisis). Once thought to be a near-conquered disease, pulmonary tuberculosis is now killing more people than ever, especially those infected with HIV in developing countries. That ’s why there ’s an urgent need for a rapid, accurate and cost-effective point of care test for pulmonary tuberculosis is Breath testing could provide such a test because the mycobacteria that cause pulmonary tuberculosis generate a very distinctive pattern of volatile organic compounds (VOCs) when grown in the laboratory. In a multicenter international study, a six-minute BreathLink breath test accurately identified active pulmonary tuberculosis. 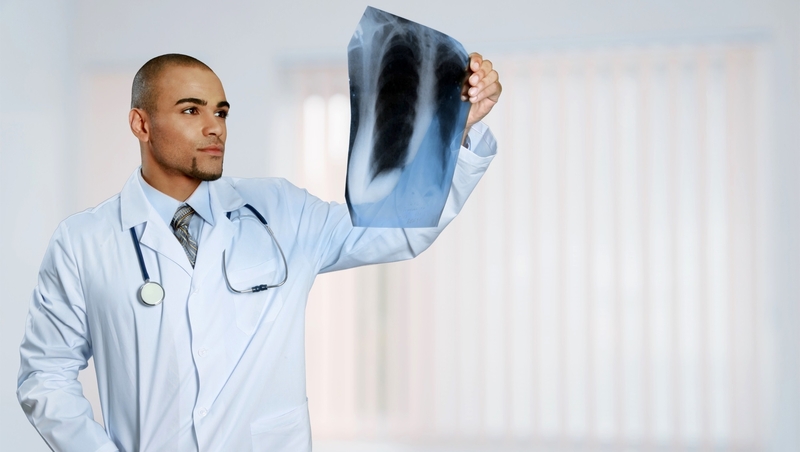 In clinical practice, a negative result on the breath test could identify people who do not have tuberculosis with nearly 100% accuracy. A BreathLink or BreathBag breath test offers a safe and cost-effective new screening tool for finding new cases of active pulmonary tuberculosis. Company name: Menssana Research, Inc.